This discolored, rumpled sheet of paper fell out of one of Kurt's archived file folders. 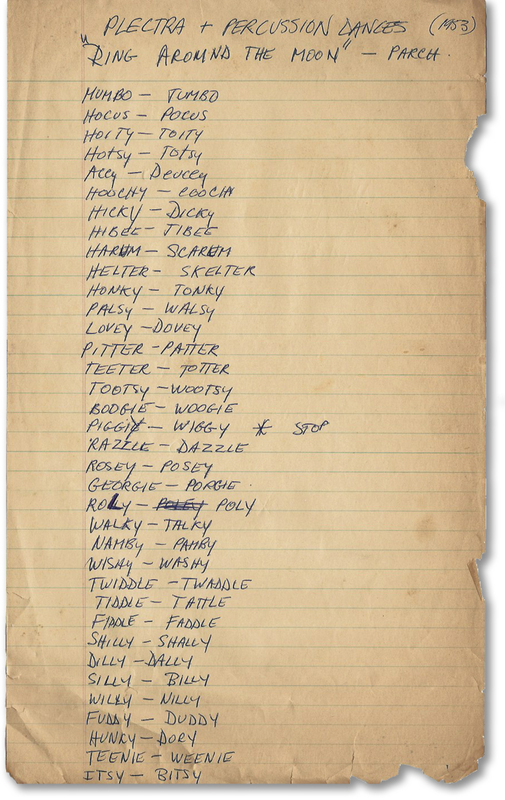 The chances are good that it was compiled while Kurt and his friend Carl Belz were working on their History of Rock and Roll book project in the early 60s; "Itsy-Bitsy"/"Teeny-Weenie" are the tip off. Or maybe not.